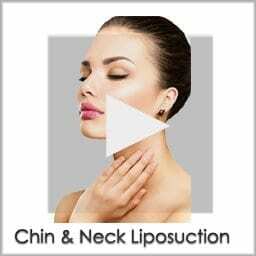 Looking for the best CO2 laser treatment in San Diego? At Kolstad Facial Plastic Surgery we offer a full range fractional CO2 laser options. 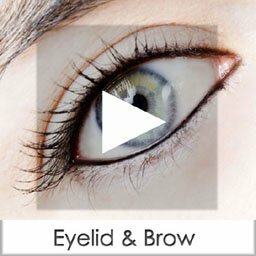 Are you bothered by crow’s feet and fine lines around the eyes? Looking to treat lipstick lines and smile lines without looking over filled? Dr. Kolstad uses the Phoenix CO2 laser in San Diego to rejuvenate the skin creating a youthful glow and appearance. One of the best anti-aging treatments in the world, the fractional CO2 laser has a place in everyone’s skincare regimen. Brown spots and hyperpigmentation can be softened and many times completely removed using powerful CO2 laser technology. 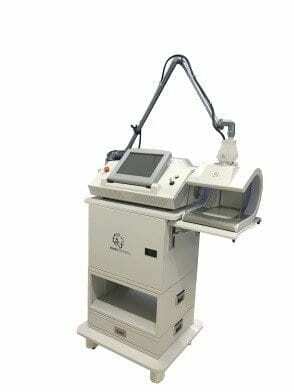 There are many offices and medi spas advertising laser treatments in San Diego. How do you know which CO2 laser specialist in San Diego is best for you? Do you know if it is a nurse or doctor performing the laser treatment? At our Facial Plastic Surgery office in La Jolla, Dr. Kolstad performs every CO2 laser treatment himself. To achieve the absolute best results Dr. Kolstad needs to be personally involved and he does not rely on nurses or staff to get the job done. Dr. Kolstad uses his training as a Facial Plastic Surgeon to deliver superior results keeping your skin rejuvenated in a safe and natural way. The Phoenix CO2 laser delivers powerful skin smoothing and regenerative benefits. Laser treatments in San Diego have the ability to restore your youthful and beautiful facial appearance. We are confident that Kolstad Facial Plastic Surgery is the best choice for your CO2 laser treatment needs. DO ANY OF THE FOLLOWING BOTHER YOU? Crow’s feet and wrinkles around the eyes. Lipstick lines and smoker’s lines around the mouth. Hyperpigmentation, brown spots, age spots, and melasma. Hands that look older than they did 5 years ago. Chest wrinkling and décolletage creasing. Neck sagging and turkey gobblers under the chin. Moles, nevis, warts and skin lesions. Skin that looks older than you remember. San Diego CO2 laser treatments remove the damaged outer layer of your skin revealing the underlying skin which is softer, smoother, and younger. How Do Fractional CO2 Laser Treatments Work? CO2 laser treatment is also called fractionated CO2 laser skin resurfacing. Fractional CO2 lasers in San Diego punch holes in the skin stimulating wound healing and collagen production. Removing damaged skin cells on the surface allows the skin to regrow into a glowing, refreshed appearance. CO2 lasers deliver energy to discreet areas allowing precise vaporization of damaged skin cells. Concentrated beams of heat energy stimulate collagen production improving fine lines and wrinkles. Our most common areas treated are the face, neck, crow’s feet, smokers lines, décolletage and hands. This is not a one-laser-fits-all office. We are thrilled to offer the Phoenix Laser System, the latest innovation of fractional CO2 laser technology. This fully customizable laser allows unique levels of treatment depths, surface areas and skin penetration. Dr. Kolstad will analyze your skin damage, epidermis health and needs to create an individual treatment plan to meet your needs. Our most common CO2 laser treatment areas. DO CO2 LASER TREATMENTS HURT? Your comfort is our primary concern during your laser treatment in San Diego. Dr. Kolstad offers a series of anesthetics to control the amount of painful stimuli. Prior to your CO2 laser we apply a strong topical numbing agent to all of the treated areas. For eyes, mouth and face CO2 laser treatments Dr. Kolstad uses injectable medicines to block major nerve bundles. Many patients experience a warming sensation to the treated areas. Dr. Kolstad uses cryocooling to minimize the discomfort. Cryocooling technology jets frigid air (43-60°F) onto the skin to numb the pain receptors. Depending on the procedure length and treatment areas many people prefer a light oral sedative to help relax them for the procedure. WHAT IS THE RECOVERY LIKE FOR CO2 LASER TREATMENTS IN SAN DIEGO? You should plan for at least to recover from you laser treatment. Dr. Kolstad will guide you through how to best take care of your skin during the recovery period. • Avoid direct sunlight and keep skin moist and cool to aid healing. • Avoid environmental irritants during healing process (e.g., dust, dirt, aerosols, cleaning agents). • Avoid dryness and excessive heat (no high heat on blow dryer, medium heat is fine during healing process). • Avoid any vigorous exercising for 2 weeks. • Redness and a sunburn-type sensation will normally last several hours. 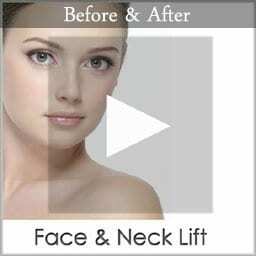 • Neck redness is more persistent and will usually last several days longer than face redness. • Face will normally bronze and peel within 3-5 days (Note: skin below neck normally requires up to 2 weeks to bronze and peel). • Mild bleeding from the skin is not unusual. Mild pressure will control the bleeding that does occur. AREN’T ALL CO2 LASERS THE SAME? There are so many lasers in San Diego it is very confusing to keep them all straight. CO2 lasers are the gold standard for skin resurfacing and have a long track record safety, reliability and amazing results. We are proud to introduce the new Phoenix CO2 laser system. The Phoenix laser is a powerful skin smoothing technology. This CO2 laser is fully customizable allowing Dr. Kolstad to create unique levels of treatment depths, surface areas and skin penetration. Dr. Kolstad utilizes his background as a board-certified Facial Plastic Surgeon to achieve the best results. Dr. Kolstad creates natural appearing facial rejuvenation through a variety of injectables, surgeries and lasers. WHAT SHOULD I EXPECT WITH PHOENIX FRACTIONAL CO2 LASER TREATMENTS? Treatments can be deeper, with more healing and downtime, or shallower, with less healing time. The deeper the treatment, the better the results generally. But some patients prefer to have two treatments that aren’t as deep so they can avoid a lot of downtime. You will see some immediate results but you won’t see the full results for 3-6 months. After your skin heals, which may take up to 3-14 days, there will be a period of 3 to 6 weeks after that when your skin might be slightly pink. During this period, your skin will feel smoother and looks less blotchy. As the color returns to normal, you will see fewer lines, less blotchiness, and more glow. Looking to make the most of your laser resurfacing? Additional procedures can be helpful in achieving the most natural looking CO2 laser results. San Diego CO2 laser treatments are typically performed in the office using a combination of local and injectable anesthetics. Patients looking to combine laser resurfacing with surgical procedures can have the procedures performed under sedation. Most commonly Dr. Kolstad will laser the eyelid and mouth areas in combination with blepharoplasty and face lift procedures. WHAT ARE THE RISKS OF CO2 LASERS? Pain. Most people feel a mild to moderate discomfort during treatment. Dr. Kolstad will prescribe strong pain medicine if necessary but most patients fine Tylenol is enough to be comfortable. Redness. Many patients notice a rosy, pink color to the skin. The redness may last a couple weeks to several months. In rare cases redness may last three to six months. This is more common in patients who have a history of flushing and multiple capillaries on the skin. Wound Healing. The Phoenix Fractional CO2 laser evaporates the superficial layers of the skin. We recommend a minimum of seven days to heal with up to 10-14 days for slow healing patients. Superficial bleeding and peeling is common. The skin can be sensitive to the sun for 2-6 weeks. Pigment Changes. The treated area may heal with increased or decreased pigmentation. Without sunscreen and sun protection there is an increased risk of hyperpigmentation. This is especially common in San Diego in the summer months. People with darker skin complexion have higher risks of hypopigmentation after treatment. Excessive Swelling. 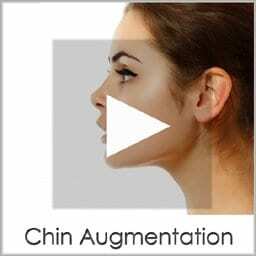 There will be swelling of the skin immediately after San Diego laser surgery. This is not a complication and is expected after thermal injury to the treated areas. Swelling typically resolves over the next three to seven days. Scarring. There is a very small chance of scarring including hypertrophic scarring and keloid scarring. If you have a history of poor scarring make sure you inform Dr. Kolstad during your consultation. To minimize chances of scarring, it is important to follow post-operative instructions carefully. Eye Exposure. There is also a risk of harmful eye exposure to laser surgery. Dr. Kolstad will provide all necessary protective eyewear. It is important to have protective eyewear at all times during the laser treatment. Infection. Occasional infections can occur. Patients with a history of cold sores are advised to use antivirals before and after treatments. Inform Dr. Kolstad of any signs of infection. If not treated promptly infections can result in scarring. WHAT IS THE COST OF LASER TREATMENTS IN SAN DIEGO?